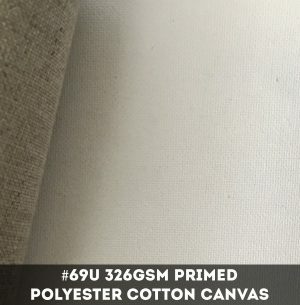 FP_100 is very fine, tightly woven 100% polyester canvas with 4 coats of universal primer. Polyester is extremely strong and archival as it is a man-made product. Suitable for all media.